A Pioneer Provider of Integrated Environmental SolutionsPentas Flora is an innovative scheduled waste management business focused on producing ecological oil re-refinery products as an optional fuel for industrial use. As a licensed waste management company approved by the Department of Environment, Malaysia (DOE), we have invested extensively in our plant located at a DOE approved location in Banting, Selangor. We have been committed in revolutionizing our business to better serve the world we live in by constantly ensuring maximized resource value and reduced environmental impacts. We also utilize our latest technology in treating scheduled waste to create high value products with the assistance of our highly trained staffs who are qualified to provide effective, safe and efficient solutions for your scheduled waste management needs. 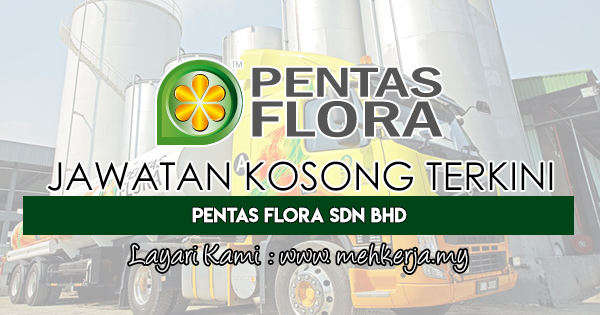 0 Response to "Jawatan Kosong Terkini di Pentas Flora Sdn Bhd - 31 Mac 2018"